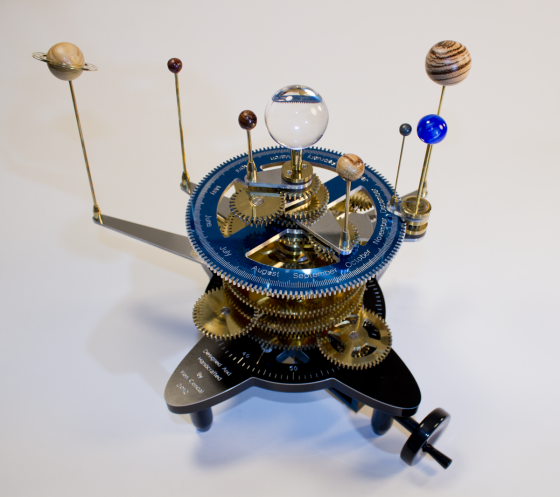 The following pages contain the story of how I built an Orrery, which is a working model of our solar system. 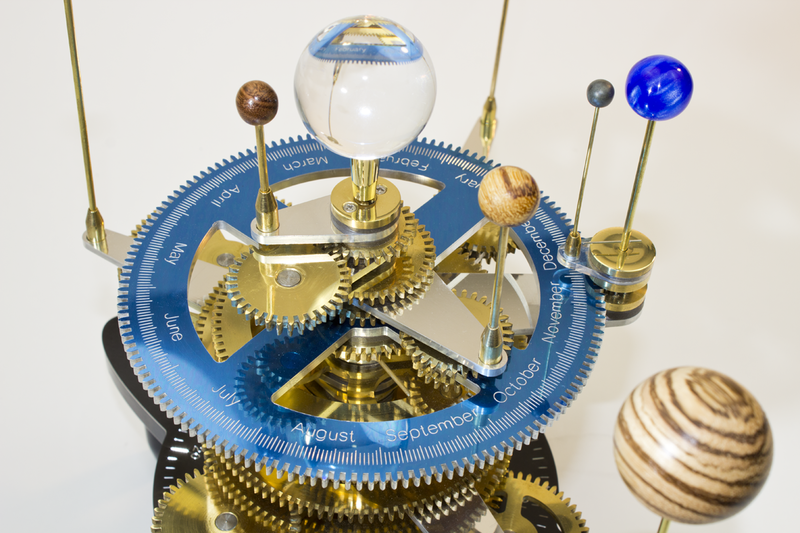 There are detailed videos showing each step of the process including making the gears, machining the idler and planet support arms, diamond engraving the calendars and assembling the model. I spent three months designing the Orrery and producing the original concept drawing. This section explains some of the thought process and contains downloadable specifications for the gearing. This section contains 7 videos detailing each step in making a gear – from roughing out the blanks from sheets of brass to cutting the teeth. Finding the exact distance between gear centers. Machining washers and bearings. Making a key slot in the main shaft. Milling the planet and idler arms. Making the base with Corian and anodized aluminum. Engraving the base using a diamond engraver. Assembling the base and gearbox to drive the Orrery. Milling spokes in a large gear. Assembling the gears to drive a planet. Engraving the calendar gear with a diamond engraver. Making a lantern gear to drive the Earth and the Moon. Choosing the materials, turning the spheres and adding rings to Saturn. During the build you’ll notice that my machines aren’t exactly ‘stock’. This section explains some of the modifications I’ve made.